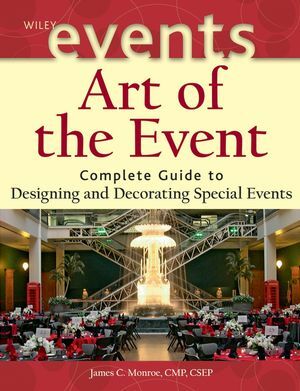 Art of the Event: Complete Guide to Special Event Design and Décor is the tenth title in the Wiley Event Management Series. It provides event planners with professional-level information that explains how to decorate a location for a special event. From assessing the client's decor needs at an event to staying within a client's budget, it serves as a practical guide to designing and decorating events and celebrations from ten to 2,000 guests. JAMES C. MONROE, CMP, CSEP, owns James C. Monroe and Associates: Special Event Design and Production, in Dallas, Texas. He has been involved in special events design and decoration for thirty years. INTRODUCTION: EVENT DESIGN BECOMES A PROFESSION. Part One: PRINCIPLES, PROCESSES, AND PRACTICES. Chapter 1: PRINCIPLES OF DESIGN. Design and Decoration in Events. 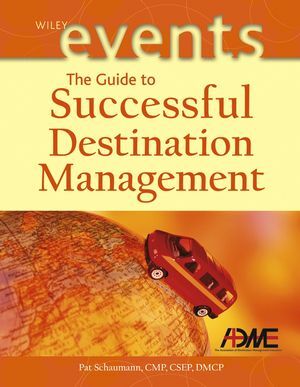 Design and Global Event Management. Recommended Readings and Research Sites. Chapter 2: DESIGN AND DECORATION PRACTICES. Chapter 5: PROFIT AND LOSS. Part Two: THE DECORATIVE ELEMENTS. Chapter 6: BACKDROPS AND PROPS. Designing with Backdrops and Props. Chapter 7: DECORATING WITH FLOWERS. Chapter 8: FABULOUS FABRIC DÉCOR. Chapter 9: BALLOONS IN BLOOM. Chapter 10: THE ART OF LIGHT. Chapter 11: UNIQUE DECORATIVE ELEMENTS. Part Three: THE UNIVERSE OF SPECIAL EVENTS. Chapter 12: NONPROFIT AND CHARITY EVENTS. Designing for Nonprofit Event Goals. Decorating Different Types of Nonprofit Events. Chapter 13: CORPORATE CELEBRATIONS AND CEREMONIES. Chapter 14: MILESTONE AND SOCIAL EVENTS. Chapter 16: FESTIVALS, FAIRS, PARADES, AND SPECTACLES. APPENDIX 1: TYPICAL REQUEST FOR PROPOSAL. APPENDIX 4: TYPICAL EVENT PROPOSAL. APPENDIX 5: SPECIAL EVENT SITE INSPECTION CHECKLIST. APPENDIX 8: LABOR RATE CALCULATION: CHARGE-OUT RATES FOR LABOR. APPENDIX 9: DISPLAYING THE UNITED STATES FLAG. APPENDIX 10: LIGHTING EQUIPMENT AND VOCABULARY.